Tomorrow will see the precursor to the 2017 World Under-17 Hockey Challenge with the pre-tournament fixtures taking place. 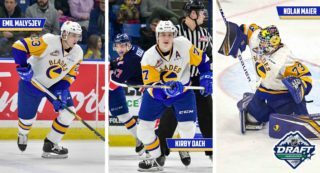 Three members of the Blade organization will be representing Canada from the 2nd of November until November 11th in the tournament which is annually held in Canada and formerly known as the Quebec Esso Cup. This year’s tournament will take place in Dawson Creek and Fort St. John, British Columbia. Two players, rookie forward Kirby Dach and goaltending prospect Nolan Maier, will both suit up for Team Canada Black. 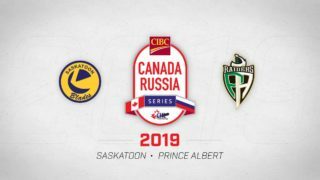 Joining them at the tournament is the Blades’ very own Associate General Manager Steve Hildebrand, though he will be working with Team Canada Red as their Director of Hockey Operations. Team Canada Black will open the pre-tournament tomorrow, taking on Finland at 2:30pm MST in North Peace Arena, Fort St. John, B.C. 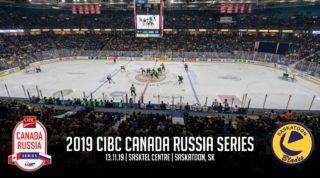 Canada Black will then open the tournament’s preliminary round against Team Canada White on Sunday November 5th at 2.30pm MST in the Encana Events Centre located in Dawson Creek, B.C. 5/11/17 – 2.30pm MST Canada White Encana Events Centre Dawson Creek, B.C. 6/11/17 – 7:00pm MST Czech Republic Encana Events Centre Dawson Creek, B.C. 7/11/17 – 7:00pm MST U.S.A Encana Events Centre Dawson Creek, B.C. Group B consists of Team Canada Red, Finland, Russia and Sweden. Every team will advance from the preliminary stage, with the group stage results to determine seeding and fixtures for the quarter-finals. 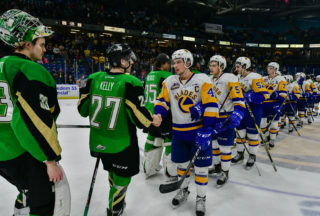 Teams who bow out in the quarter-finals will playoff for 5th and 7th place in the tournament as the remaining teams continue their progress to the semifinals and eventually the gold and bronze medal matches. The tournament will conclude with the gold and bronze medal matches on Saturday November 11th. For the compete schedule of the 2017 World U17 Hockey Challenge, please click here. For up-to-date player statistics as the tournament progresses, please click here. 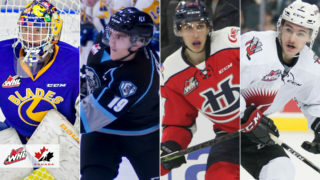 For the full list of players from Hockey Canada, please click here.